Many millions of people are affected by pain and suffering from Arthritis and research has shown that Glucosamine and Chondroitin sulphates combined have given these people new hope and relief from their painful ailments. Arthritis it causes pain, stiffness and sometimes swelling in or around joints. This can make it hard to complete simple movements you rely on every day for work or taking care of your family. 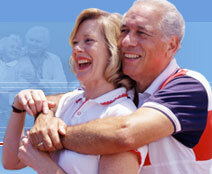 But you can take steps now to avoid arthritis or to reduce pain and resume normal daily activities. There are more than 100 different types of arthritis and the cause of most types is unknown. Scientists are currently studying what roles three major factors play in certain types of arthritis. These include the genetic factors you inherit from your parents, events which occur during your life and how you live on a day-to-day basis. The importance of these factors varies by type of arthritis. Even though there is a lot of mystery surrounding arthritic joint pain, there is also a tremendous amount of research that points to certain nutrients that help nutritionally support this condition. Both short and long term studies have been performed with a nutrient called Glucosamine Sulfate. Glucosamine works to stimulate joint function and repair. It is most effective in treating osteoarthritis, the most prevalent form of arthritis. A number of studies over the last 20 years have shown this to be true. For example, a 1982 clinical study compared usage of the NSAID ibuprofen with glucosamine sulfate, for osteoarthritis of the knee. The over-all results showed that 44% of the glucosamine group had pain relief compared to 15% for ibuprofen. A long-term effects study was done with glucosamine and arthritis reported in the Lancet. the authors concluded that, "Glucosamine sulfate prevents the progression of osteoarthritis of the knee, in addition to relieving the symptoms." Glucosamine Sulfate 2Kcl which is the exact form used in most of the studies showing benefit. It is hard to enjoy your family, friends, hobbies or even money without your health and joint pain is definitely one of the big contributing factors to a poor quality of life. StarHerb Health Nutrition products formula brings these great joint nutrients to nutritionally support the body along with 100% of your daily needs of the essential nutrients all in one formula.